Barefoot amidst the charm and mystery of Fire in a desert camp. The desert is the space of echoing questions, the sounding board of the world’s sounds. The desert arises from the precarious equilibrium of existence, at the intersection of places present and past, like a mirage at the edge of itself. The warm, sensual notes of a strange night in the wilderness; the soothing spicy fragrance; the evocative power of roses; and the ancestral and reassuring perfume of honey: all of them are celebrated in the power of the flame.The exciting story of a unique and unforgettable experience: the first night in a tent in the desert; the darkness and silence of this magic place which - like this fragrance - excites and fascinates from the first top notes. Here is the mellow Bulgarian Rose which embraces you like a warm cloak, an enduring balance of emotions; yet, in a sudden flash it becomes utter darkness, advancing in the unconsciousness like some primal anxiety. There is a saying I picked up on one of my trips which has always fascinated me. "The desert is as vast as the sky; if you want to be free as a bird, then live in the desert where there are no borders and no controls." This fragrance completely embodies this spirit of the infinite, mystery, and freedom. 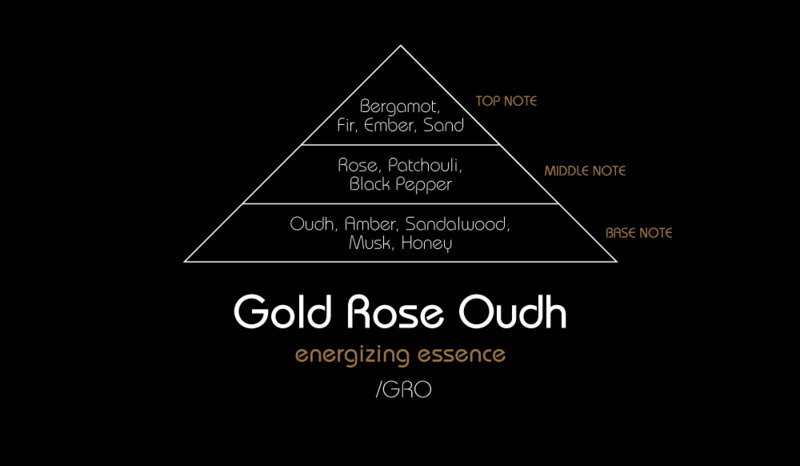 The precious notes of natural Oud provide the intensity and fear found in the darkest notes.